One thing we notice is (if this is indeed to be the opening) this may actually be the end of the third film’s story, possibly opening on the last scene then going back to tell how the boys got where they are. If this is to be the last movie in a trilogy, perhaps Connor and Murphy MacManus die at the end. In some ways that might be the most fitting way to close out the franchise. So what does this Tweet actually mean? Is the film moving forward? Is the script done? Chances are the obvious clue is a third film may now be closer than ever before. We’ll keep tabs on this and see if anything new pops up. 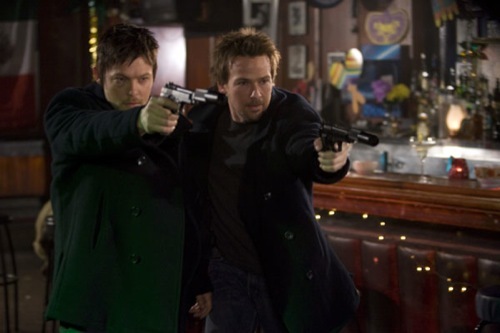 How do you feel about the possibility of a third BOONDOCK film? Tell us in the comments.